I encountered this technique in Creepy Cute Crochet and the Flower Purse is my first opportunity to use it. Before learning this technique, I would just pull the end tightly and weave it in. That leaves a little bump in edge of the crochet. 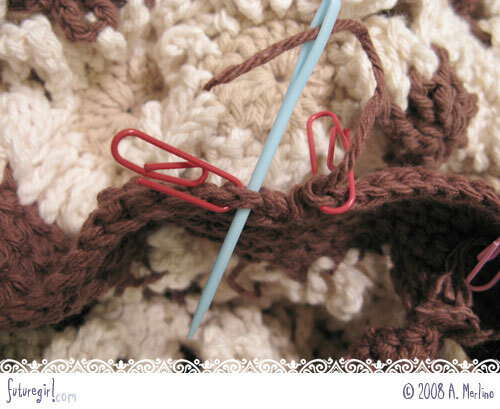 This technique show you how to "fake" a crochet stitch to connect the last stitch to the first stitch of the row, which looks awesome. Explanation text is above its corresponding photo. This is the end of the last row of crochet. The stitch marker on the left is the first stitch of the row and the stitch marker on the right is the last stitch of the row. 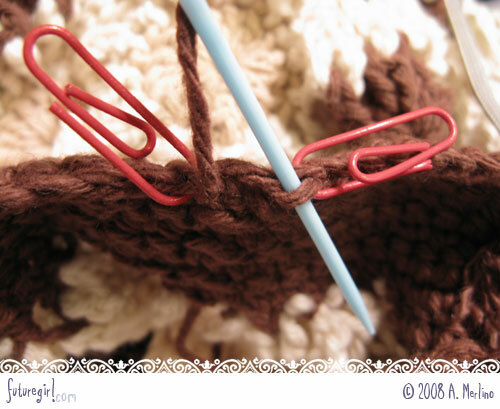 Thread your yarn on a needle. 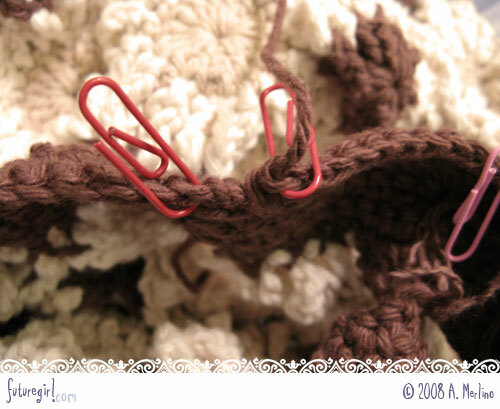 Put needle through the first stitch of the row under both top yarn strands coming in from the front of your piece and coming out the back of your piece. Pull through. 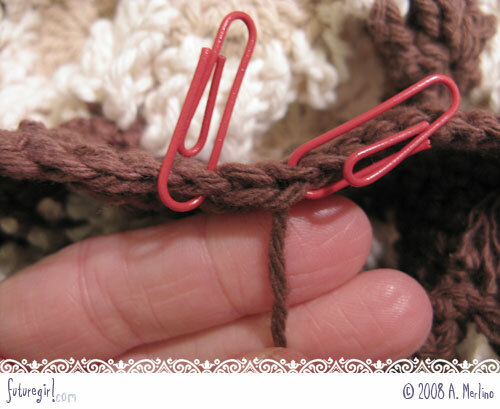 Put the needle in the middle of the last stitch of the row (where the yarn end starts) and go under the top yarn strand that is on the back side of your piece. Ta da! After this, you can weave in the end and knot it in an inconspicuous place. Since I'm folding these handles over, I knotted it a couple rows down because it'll be hidden in the fold.